rich girls. : Montana Cox | Milan Fashion Week. 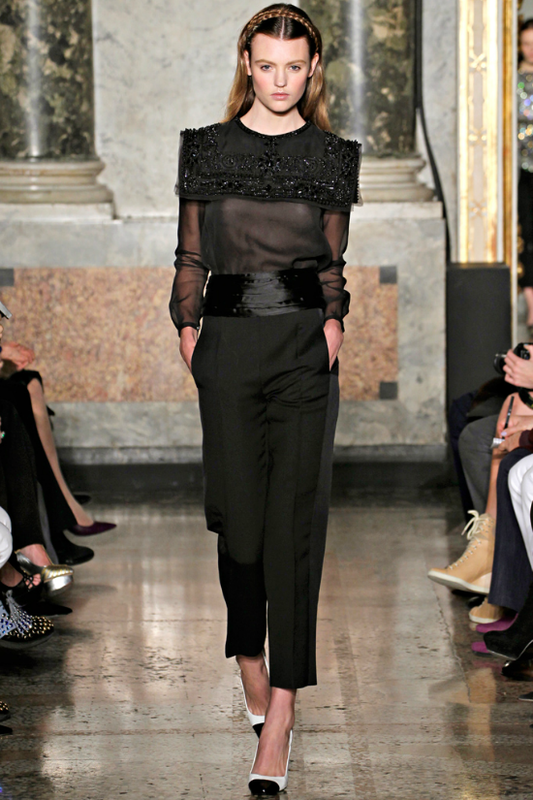 My favourite ever Australia's Next Top Model winner, Montana Cox at Milan Fashion Week. She made her international debut by walking in shows for Jo No Fui, Etro, Bottega Veneta, Emilio Pucci and Aquilano Rimondi. Natasha Poly, Lily Donaldson, Cara Delevigne, Magdalena Frackowiak and Anja Rubik. These 3 looks from Pucci, Jo No Fui and Aquilano are my faves from the bunch. So proud and thrilled to see her doing so well. There's some really exciting stuff coming out of Paris, which I can't wait to show you. Teaser: Lanvin and Christian Dior. Wow.. These are fabulous outfits.. We love them..
AMAZING! Love the dress in the middle best! Montana is an absolute superstar! Definitely the biggest thing to come out of AuNTM - having walked in SO many big shows her first season!